Welcome to the FloridaHATS Web site! 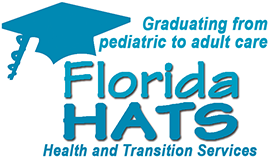 FloridaHATS is a program of Florida Department of Health, Children’s Medical Services. 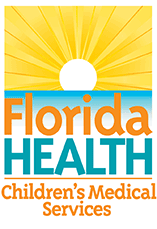 Our mission is to ensure successful transition from pediatric to adult health care for all youth and young adults in Florida, including those with disabilities, chronic health conditions or other special health care needs. To learn more about our program, visit About Us. JaxHATS: A Model Medical Home for Youth & Young Adults Ages 16-26 Dr. Rita Nathawad and Dr. David Wood, current and former Medical Directors at JaxHATS, describe the nationally recognized program’s development, operational structure, outcomes, and challenges. Florida’s Maternal and Child Health Services Block Grant 2016 application Presentation on Florida Title V Needs Assessment process, and Title V 5-Year Action Plan (transition plan on pp. 7-12). Healthy Transitions Mobile App From University of Delaware’s Center for Disabilities Studies, designed to help build skills for independence and health care self-management. The app can be downloaded for free through iTunes and Google Play; for Google Play, click here. Videos produced by Nemours: Legal and Financial,After High School, Where to Live and Medical. Read about them in this press release. Updated Clinical Report. The AAP, AAFP, and ACP have updated the original 2011 clinical report on health care transition. This updated clinical report, “Supporting the Health Care Transition from Adolescence to Adulthood in the Medical Home,” provides new practice-based quality improvement guidance on key elements of transition: planning, transfer, and integration into adult care. It also includes new recommendations pertaining to infrastructure, education and training, payment, and research. Preventive Care and Transition Toolkit. Preventive care visits represent an important opportunity to discuss health care transition with adolescents, parents, and young adults. Yet, national survey data reveal that, 85% of youth have not received guidance about health care transition from their health care providers. To address this unmet need, The National Alliance to Advance Adolescent Health/Got Transition with the University of California, San Francisco’s Adolescent and Young Adult Health National Resource Center created a new free online toolkit titled Incorporating Health Care Transition Services into Preventive Care for Adolescents and Young Adults. The toolkit is available in both English and Spanish. Condition-Specific Tools for Subspecialists From the American College of Physicians, tools are now available for the following subspecialties: general internal medicine (intellectual/developmental disabilities and physical disabilities), cardiology, endocrinology, gastroenterology, hematology, nephrology, and rheumatology. The toolkit includes transition readiness assessments, self-care assessments, and medical summaries customized from Got Transition’s Six Core Elements of Health Care Transition. Health Care Transition in the School Setting: A Training Program for Educators Provides special education teachers, transition specialists, administrators and support staff with the knowledge, skills and tools to facilitate improved health literacy, self-management, communication, and self-advocacy among students with disabilities and chronic health conditions. Free Pediatric Maintenance of Certification Transition Module Available. The University of California San Diego/Rady Children’s Hospital with the North American Society for Pediatric Gastroenterology, Hepatology and Nutrition (NASPGHAN) partnered with Got Transition to develop a new pediatric Maintenance of Certification (MOC) Part 4 Module on transitiondeveloped by Got Transition: Center for Health Care Transition Improvement. To learn more about completion criteria and to register for FREE, email Kim Rose (KRose@naspghan.org) by March 31, 2017. University of Florida’s Interdisciplinary Collaborative on Healthcare and Education Transition (ICHET) offers a fully online certificate program for graduate students and professionals interested in bringing both health care providers and educators together to help youth with chronic illness successfully transition to adulthood. Health Care Transition Training for Health Care Professionals. This course is appropriate for all practitioners and support staff involved in the care of adolescents and young adults. Illinois Transition Care Project Offers MOC-approved, web-based training for both pediatric and adult-oriented providers. Transition to Adult Care for Individuals with ID/DD A one-hour continuing education module in the webinar series, Physician Education in Developmental Disabilities. The 12 credit-hour series is available at http://aadmd.org/page/pedd-webinar-series.